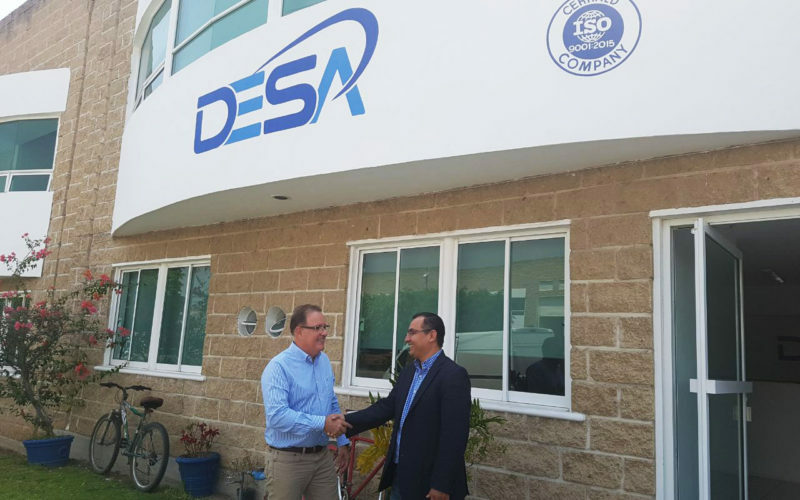 Recently the CEO of the company Desa Test Systems and the CEO of Isotron signed an agreement to represent one of the most recognized companies in resistance welding equipment. Isotron is a Brazilian company that has been active in the industrial segment since 1996. It started its activities as a brand and manufacturer of resistance welding machines and equipment. In another division, we have large brand partners present in the world market, where we distribute and represent components for diverse electrical installations, among the offered products are, internal connection systems, taken multi-polar armored, electric cables, power distribution panels, among others. It has a team of highly qualified professionals, able to develop and develop specific projects and solutions for each business. Both companies will work together to provide the Mexican market with a high quality service and high performance products at competitive costs. Desa Test System continues its work to make strategic alliances in order to offer its customers reliable and high quality solutions. « Quality control in production: How to eliminate a bottleneck?